Demographics. This generally includes details about gender, class, race and other categories. For instance, a business that aims to sell its high-end product to educated customers might target married, upper-class men ages 30 and older. Financial. This includes information about purchasing power for various demographics and segmenting customer profiles into income categories. Lifestyle. These factors can include consumers’ type of neighborhood, household data, leisure activities and interests. Market triggers. Data here can range from customers’ triggers for buying, such as birthdays or relocations, to behaviorally motivated triggers, such as spending and purchasing changes. 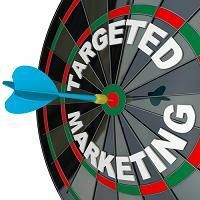 Taking advantage of targeted marketing programs puts you in the driver’s seat, giving you much more value for your marketing dollars, with the ability to focus those dollars to brand yourself to an audience that is more likely to buy. With a wealth of information at your fingertips regarding customer information, you can develop targeted marketing programs that boost your ROI every time. If targeted marketing is new to your business, why not put yourself in the hands of the trusted professionals at Continuity Programs? Contact us today for more information about our proven turnkey marketing solutions. I did not know that targeted marketing programs could be the key factor that helps someone turn their business into an industry. It sounds like they are very beneficial to helping grow the business. It is nice that they build your authority and boost brand awareness. Something worth trying, I am sure!